It’s never too early to start planning for your Study Abroad & Exchange experience. With a variety of options and opportunities for all majors, students can earn credits that help them work toward graduating on time. Going abroad is affordable, safe, and managed by professional faculty and staff. Most programs require no special language knowledge with English, though immersive language-study options are available. There’s nothing to keep you from discovering your passion, yourself, and your world! Imagine visiting the Uffizi Museum in Florence, Italy to discuss Renaissance art; traveling across the Okavango Delta, Botswana, to engage with issues of sustainability; touring the Audi manufacturing plant in Ingolstadt, Germany, to learn about automotive engineering; or living with a host family in Costa Rica to improve your Spanish language skills. Georgia Southern offers first-class opportunities for you to live and learn abroad, and the Office of International Programs & Services will help you earn valuable academic credit toward your degree program as you learn about other people and places, broaden your cultural horizons, and enhance your career opportunities. With more frequency, employers are looking for potential employees who gained some type of international experience during their time in college. Study Abroad & Exchange is one of these many avenues, and students are encouraged to use their time wisely in pursuing these endeavors. Study abroad provides multiple benefits academically, personally, and professionally by allowing students to gain flexibility and adaptability, communicate across cultures, enhance critical thinking, and develop a strong sense of self. Want to see the numbers? Check out this infographic about study abroad originally designed by Course Hero Blog (click to enlarge). Both short-term programs and exchange programs have different application processes and requirements. Short-term programs that run over the summer or a break period typically require the submission of an application form and a deposit. The application form is used to determine if a student meets the academic requirements for their chosen program, and the deposit ensures the student is committed to participating. Once both items are received by the Office of International Programs & Services, you will receive a formal letter of acceptance into the program. Short-term programs often require that students are in good academic standing and have completed their Freshman year by the time the program departs. GPA and pre-requisites can vary by program – as can application deadlines – and are set by the Program Director, so it is important to read the program requirements. Short-term programs fill on a first-come, first-served basis. Exchange programs have a more intense application process. Each exchange program has the list of materials required for submission listed on its webpage. Complete applications must be submitted by the deadlines listed for Fall and Spring term participation. After the deadline, all students who submitted complete applications will be invited to the Office of International Programs & Services for a brief interview which will allow the OIPS staff to ask additional questions of the candidate and make a final determination of their suitability for participation on an exchange program. Accepted students will be notified via email. GPA requirements may vary, but participation in most exchange programs requires a 2.5 minimum GPA and completion of at least 45 credit hours. Junior year is the recommended time for participation. All participating students must be 18 years old by the program start date. Students in F-1 status are eligible to participate on all study abroad programs. Do I need to complete coursework for my major, my minor, or do I have electives to complete? Does the program offer enough coursework in the fields or areas I need to complete? Do I need all coursework to be taught in English? Am I proficient enough in a second language to complete coursework not being taught in English? Do I feel prepared to be away from home for a few weeks or a few months? What is my realistic budget or price limit? What are my personal goals for participating on a program? A passport is an official government-issued document that indicates your country of citizenship and is an official form of identification required for traveling abroad. The visa is the stamp or “pass” that permits you official entry into the country you intend to visa. Not all students who participate on a study abroad program will need a visa, but all students will require a passport book. Students should begin the process of obtaining a passport as soon as they decide to apply for and commit to a study abroad program. Obtaining a passport early will allow students ample time to receive the passport and any necessary visas in a timely fashion prior to the program departure date. Your passport must be valid at least six months after the end date of your program. Students can learn more about applying for their passport on this resource page. 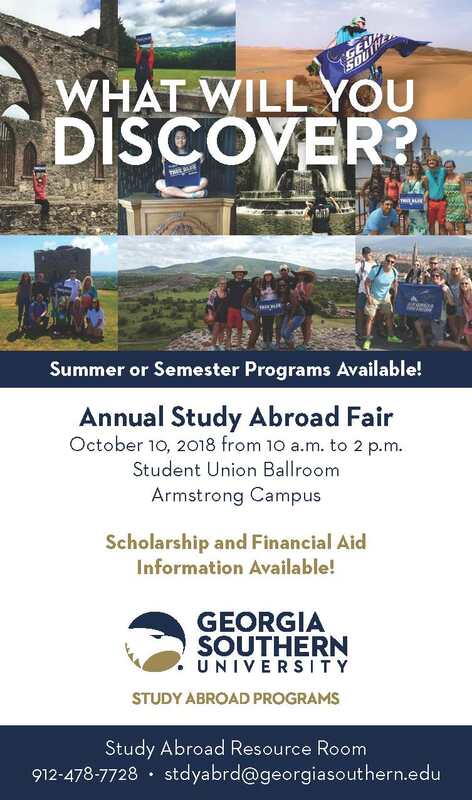 Georgia Southern both accepts transient students and allows its students to participate on programs offered through third-party providers and other institutions. Students from other schools who would like to attend a Georgia Southern program should apply for transient admission for the term they would like to participate on a program. They should then follow all instructions for applying to the program of their choice. Transient students are encouraged to speak with a study abroad advisor in International Programs & Services prior to applying. All GPA and pre-requisite requirements for the chosen program must still be met, and all application materials submitted by the program’s posted deadline. Georgia Southern students who wish to apply to a program offered by a provider other than Georgia Southern will be responsible for completing paperwork required by all parties. Students should read make sure they understand the requirements, services, costs, credits, and amenities offered by their chosen program. Consulting with International Programs & Services for feedback about the accreditation, validity, or security of a particular program is highly encouraged. International Programs & Services reserves the right to withhold permission for participating in programs that operate in countries with travel warnings. When applying for their program, students will need to complete the Course of Study Approval Form. This form is required for all students who wish to participate on and earn credit through a program not offered through Georgia Southern. Students should also work with Financial Aid to complete a Consortium Agreement Form when necessary. 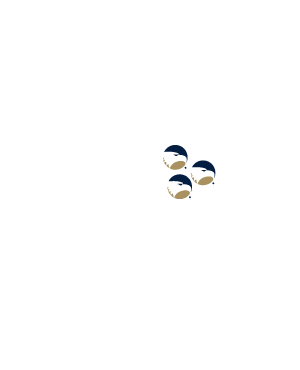 Students should understand that attending a non-Georgia Southern sponsored program may impact the availability of their financial aid and the OIPS can make no guarantee about financial aid may be applied. Students with these concerns should consult with their financial aid counselor. The Annual Study Abroad Fairs are held every September or October, and the Mini Study Abroad Fair is held each January. Faculty program directors can sign up for a table at the Fairs by completing this form. Returning study abroad students can volunteer to participate at the Fairs by signing up here. We can provide attendance verification! Any professors that are interested in providing extra credit or requiring attendance, contact Dr. Mertz-Weigel. Drop by our Study Abroad Resource Room in Veazy Hall Ste. 2024 (email: stdyabrd@georgiasouthern.edu). Open Monday – Friday from 1pm – 5pm.